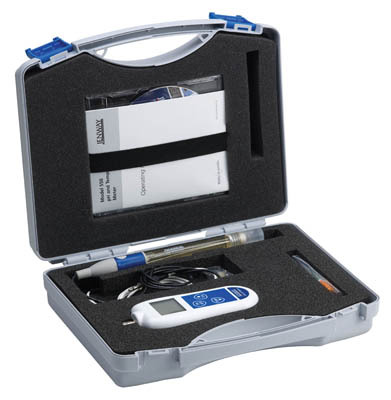 550 portable pH meter supplied in carry case with epoxy combination pH electrode, ATC probe and batteries. A small, lightweight general purpose pH meter offering 2 point pH calibration and automatic buffer recognition. Simultaneously displays both the temperature compensated pH readings and temperature.